Start Lazarus by double-clicking on its Launch icon , or by using the Start button. On the menu bar click on Project. 'Project' is circled in purple in the graphic above. Click on Program in the list of options, as shown above, and then click on the OK button. If do see the above Project changed dialogue, just click on the No button. (It was a brand new project and so nothing valuable will be lost). If you do not see the above dialogue you do not need to do anything in this step. In your browser, navigate to the page containing the Pascal program you want to copy. In Lazarus, select all the text in the editor. Press CTRL+V to replace all of this text with the copied Pascal code. 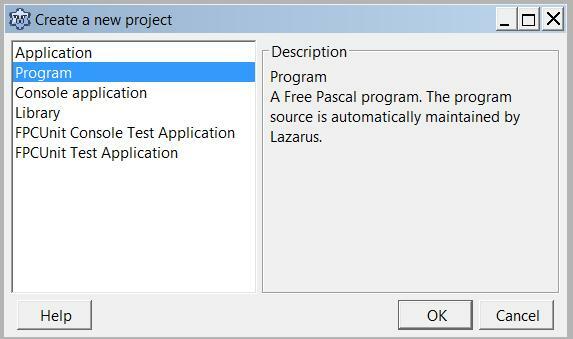 Carefully check that all the Pascal code is now in the Lazarus editor. Check that there are neither extra, nor missing characters at the beginning and end. 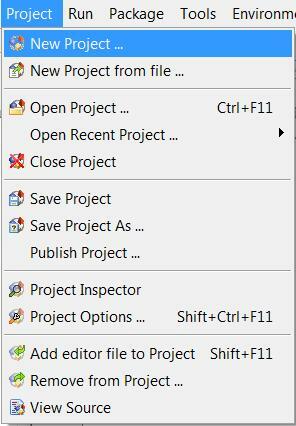 Navigate to a suitably named new folder and save the file with the name given in the first line of the program. 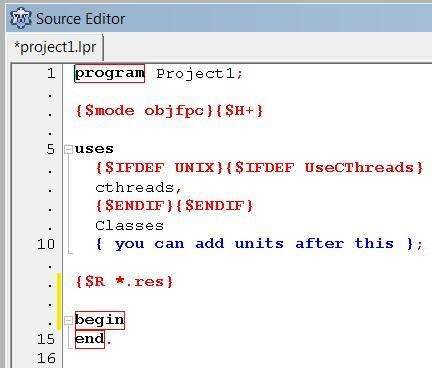 The program is now available for you to edit and run. Remember that student programs may require some adjustment before they will compile and run successfully. (We have tested all of them, but sometimes changes to compilers necessitate minor alterations to the original code). Experiment with the program. See what improvements you can make.